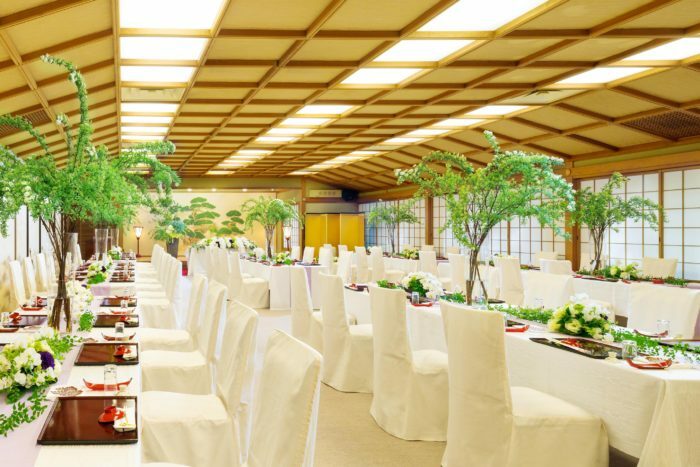 “SEIFU-DEN” on the ground floor can accommodate up to 60 guests. “JURAKU-DEN” on the second floor can accommodate up to 98 guests. The beautiful garden of Saami ryoutei restaurant is very photogenic. 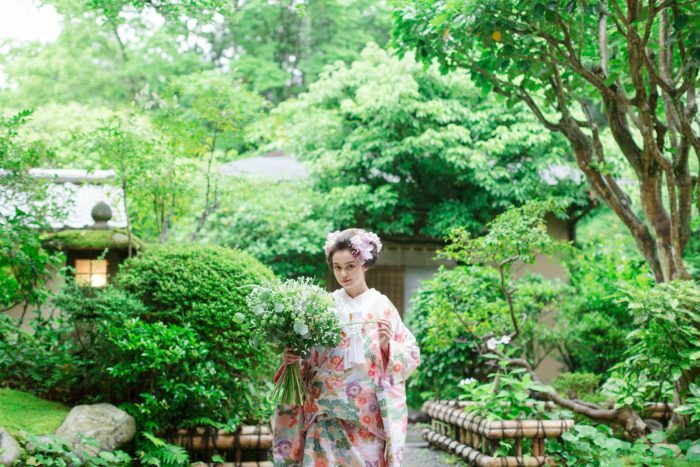 We will hold a half-yearly special bridal fair on August 5th at Saami (ryoutei restaurant). Saami (ryoutei restaurant) has been chosen by the couples who looked for the venue in the very Kyotoish atmosphere with “omotenashi (=hospitality)” spirit. Please check “Ryoutei in summer / Wedding fair” for the detail.